Hitting a double end (DE) bag requires a faster response time that hitting a heavy bag. That is why hitting a double end bag is invariably different than hitting a heavy bag, or even a speed bag. Below are tips to hitting a DE bag. 1. Begin with quick, small, and light combinations - Using small, quick, and light punches ensures the bag only moves about six to twelve inches, allowing fighters to establish a steady rhythm and making it easier to control punches. You will see a lot of videos of boxers just tapping at the bag instead of hitting it---and that is completely fine. 2. Throw two punches with one hand followed by another punch with the opposite hand - This allows fighters to throw big shots after small shots without breaking their rhythm. The first two punches help them find their opponent (the bag in this case) and sets them up for the final finishing power shot. A typical beginner's combo on a DE bag would be something like a jab-jab-cross. 4. 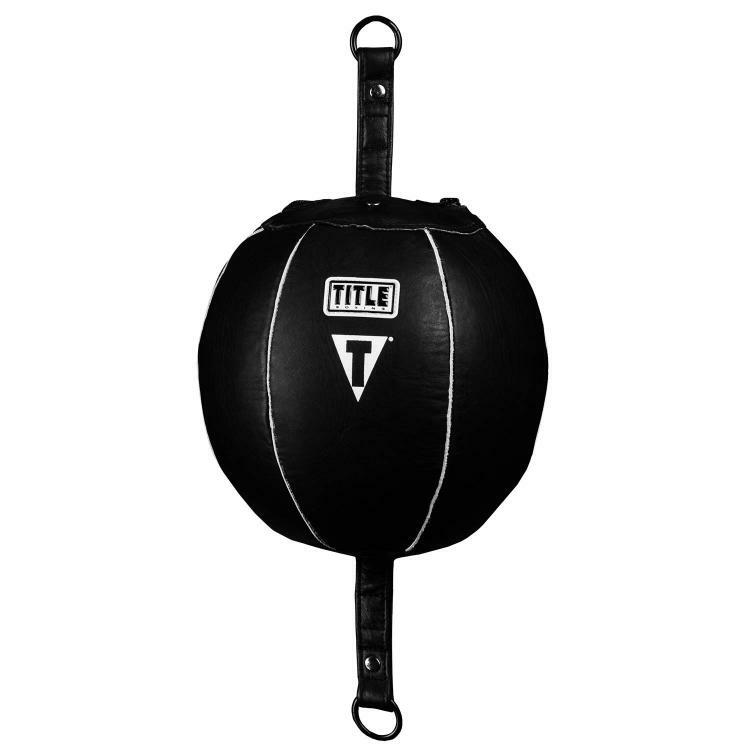 Keep throwing - Fighters who wait for the bag to slow down before throwing their next punch defeat the purpose of training with a double-end bag. They should throw the next combination two to three seconds after their first. 5. Rely on the LLR or RRL rhythm - if the bag is moving so much that you can't see it, the worst thing they can do is throw a LRL or RLR rhythm because you will miss. You should throw a bunch of quick punches with the same hand instead. This helps you control and find the bag, setting them up for the "real" punch from the other hand. 6. Mix up combinations - You should throw a RRL, then a LLR combination. You could even throw several punches with one hand, followed by another punch from the opposite hand. Once you're used to hitting the double-end bag, you can break from the standard combinations and throw usual combinations that you use on the heavy bag. 7. Use head movement - if you are not using the DE bag to practice slipping and overall head movement, you are wasting one of the best reasons to get a DE bag. These bags are made to work on head movement. So try to work in that head movement when the bag recoils. 8. Move often after your combos - Practice circling or taking steps after your combination. This way you'll always be able to hit and move. After a while, you'll be able to move your feet without feeling like they're punching with lifted feet. If you are looking for a good double end bag, be sure to check out our review of the 6 best double end bags.